Children’s tickets 6 – 12 yrs. A petite park performance built from everyday gestures. The elegance of the performance is less based on the spoken or written word than it is on the poetry of action. Here, the tools of poetic expression are physical presence, social behavior, the meanings shaped by the interrelationship between soundscapes and action, and the similarities between yes and no. The performance moves from one situation to the next, following a dreamlike logic. It is a dense, absurd, and telling performance – though it’s not always clear what’s being said. A Park area front of The Hanko City Hall, Vuorikatu 1.Duration 15 min. Free entrance. The Red Carpet procession introduces world-class stars, politicians, artists and sports people. The public is welcome to participate. Pick your favourite mask and step on the red carpet. The masks are made by a renowned American designer Matthew Brill. 19.00 – 20.00 Festival Opening Concert: “A musical journey through various landscapes and sounds of Mexico and Latin America. Ampersan DUO – MEXICO City: Zindu Cano, Jarana, acoustic guitar and vocals, Kevin García, Punteador, electric guitar and vocals. Ampersan (Mexico City) visits to International Art Festival Le Petit Festival Hanko 2018 for an intimate duo concert. “A musical journey through various landscapes and sounds of Mexico and Latin America. Musical poetry, A mix of traditional instruments with modern genres such as rock, rap and electronic.” From the beginning, in 2007, Ampersan has kept a constant relationship with traditional Mexican music. They also create through cultural exchanges in the field, as well as with contemporary academic music, and sound experimentation. Riosenti musica – MEXICO / ARGENTINA: Josue Avalos, guitar and vocals and Aline Novaro, vocals. Riosenti is a nomad musical project with latin american roots. Josue Avalos from Mexico and Aline Novaro from Argentina make songs and sones inspired in the tradition of the southeast part of Mexico accompanied with guitar and jarana. This is Riosentis second visit in Hanko. Maria Tecce´s one-woman jazz/cabaret shows have been lauded by critics and entrancing audiences in Europe, U.K., and USA since 2003. Maria wrote “All About Love” for the Dublin Fringe Festival 2003 and was invited to create “Lush Life” especially for the opulent ‘Spiegeltent’ during the Dublin Theatre Festival 2003. Both shows played to packed houses and marry three of Maria’s skills as a performer , acting, singing, and playing, and most impressive is the fact that Maria writes, designs, and produces all her shows herself. From New York’s Lincoln Center to London’s Westend, Maria has spellbound audiences in some of Europe and America’s most beautiful capital cities and most historic and respected venues and festivals. Paris, Dubrovnik, London, Rome, Prague, Dublin, Boston, New York… she’s dazzled in them all. This is Tecce´s 3rd visit in Finland. A discourse about the Performance Art: Film 20 min + conversation with artists 30 min. In the 1930s, Sanford Meisner was an actor in the Group Theatre, the most important repertory theatre in modern American History, which spawned the major American acting teachers, and several of the most important playwrights and directors of the 20th century. Meisner and his fellow actor Stella Adler fell out with their director Lee Strasberg over his use of Emotional Recall, a technique in which the actor used personal emotion from his own past memories to feed the acting process. Meisner and Adler chose to use the imagination to stimulate emotion and involvement in a play’s imaginary circumstances. Both Strasberg’s and Meisner and Adler’s techniques came out of the work of Konstantin Stanislavski in Russia, but they differed on which parts of his work was most important to the actor’s work and training. The Group Theatre broke up partially because of the conflict over these techniques. Meisner, Adler and Strasberg all went on to become acting teachers who had a profound influence on American acting and culture, as well as a strong influence on European acting. Duration 90 min. has the potential to create fluid structures for mind – close to the essence of what this living thing is ? here is potential for evolution. Studio Tomi Parkkonen, Satamakatu 2, tickets 10,-. Kuplat-Juhlat, happening now for the third time, is a mix between a concert, performance and party. This year Kuplat-Juhlat is part of the international Le Petit Festival Hanko 2018 event and will happen at Hanko City Hall. The event celebrates the ending of the summer season and the Night of Ancient Bonfires. This meeting of music and dance creates a hypnotic event at the verge of the night when we let go of the summer. The duration of the event is 2,5 hours. We’re in for a magical, ritualistic and communal evening. The working group of eleven people will guide the audience into a new season through the intertwining of dance and music. We move toward the unknown through the unified power of sound, movement, light and video. In this bubbling free state of emotion the musicians of Pohjonen alanko and dancers will improvise, surrender and throw themselves into the flow of the moment. The Kuplat-Party will awaken the senses of all participants. During the event the audience is free to move around the space. Dance: Johanna Ikola, Saara Norvio, Satu Rekola, Jouni Majaniemi, Sari Palmgren and Laura Pietiläinen. 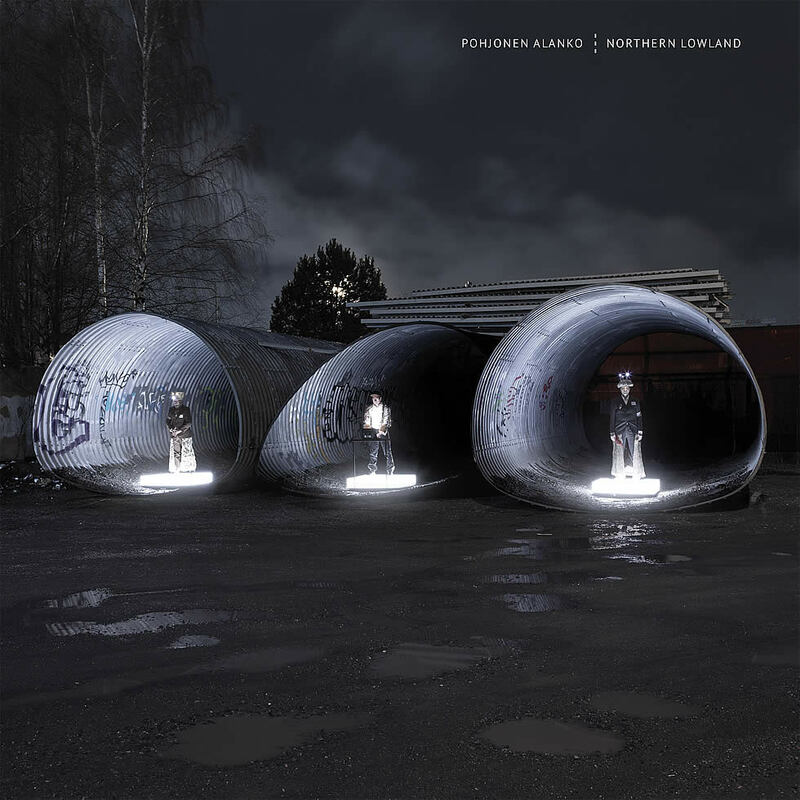 Music: Pohjonen Alanko – Kimmo Pohjonen, Ismo Alanko, Tuomas Norvio, also Juuso Hannukainen and mixer Heikki Iso-Ahola. Light and space : Anna Pöllänen. ArtPedagogues Annika Lintervo and Inka Yli-Tepsa. Front of The Town Hall, free entrance. As Far as My Own Wings Carry Me is a striking monologue about memory and self by Kati Outinen. Her one woman play combines documentary stories with the form of skillful and empowering theatre. The monologue grows into a tender portrait of a person who trusts life even in the middle of tremendous change. There’s no longer a need to fear losing oneself. Outinen, a winner of Cannes Film Festival Award for Best Actress, builds a bridge between reason and emotion. After the play, a discourse about the performance and encountering someone with a memory disorder. The Hanko City Hall, Vuorikatu 2, tickets 20,- / 15,-. Suitable for all ages. Duration: 40 min. Uproarious performance! 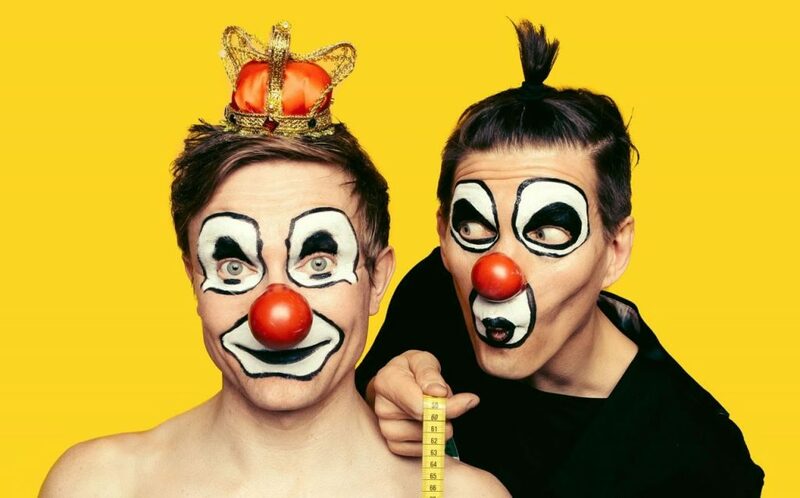 Top notch comedians Timo Ruuskanen and Tuukka Vasama jump from one role to another and pay attention to viewers of all ages. The classic tale by H. C. Andersen is intertwined with upbeat music from the likes of Avicii and Abba. For the younger audience, the story provides insights from life in schools, and for the grownups it serves as a political satire — but there’s one universal truth and certainty: the bare buttocks of the emperor gets us all laughing. Kauri Suzuki’s own dance performance by the Japanese-French dance soloist deals with encounter, change, metamorphosis, love and the path of finding oneself where their own decisions are directed. The work examines existence without a protective armor, where a human follows his own body and heart. Poor Poet and Nora, they made more than 1.000.000 km together. She is indeed the ambassador of this sad, poor, marvelous, magical, call it whatever Festival… And this story will reveal how and why everything has started… You will encounter many amazing and sometimes unexplainable moments, which only a fairy-tale has. This event is not a performance, you cannot call it a theater piece, it’s something different. It is something as a rainbow around the Moon. Imagine a tiny, soft and wild drop of the same rainbow, which will remain in you for a long time after you see “Trilogy of 3 unusual almost love stories”, 1. “Who is Nora”, 2. “Che Guevara and Nora”… and the third one, “Pssssss Nora will tell you a secret”.